Now that my daughter has her new computer, I've taken her old one apart to merge with Dorian's old one to build a single guest computer for my home office (much like the computer I keep at Dorian's house). Unlike the other one, my choices were between her LGA775 or my daughter's AM2. 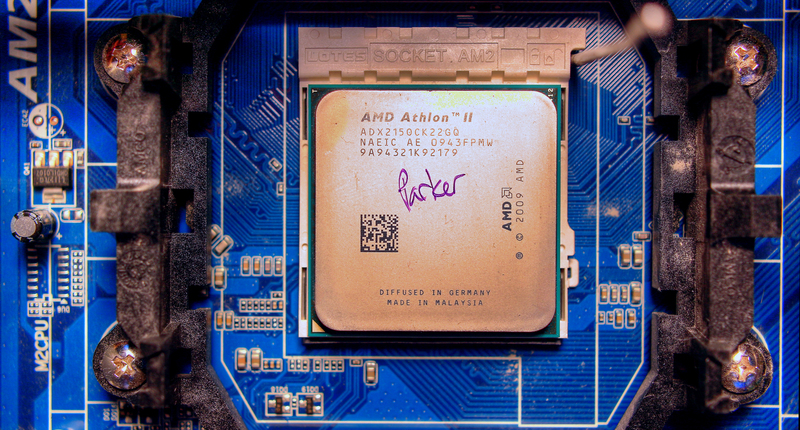 And while there are faster CPUs I could purchase for either socket, time and again the existing AMD Athalon II x2 215 2.7GHz I purchased back in 2009 keeps turning out on top either by winning the comparison battles, or being too competitive to discount. So once again a refresh with max RAM (8GB), an SSD boot drive, 7200 rpm data drive, upgraded frame buffer, and Window10 for an adequate legacy guest gaming rig.